When many people think of metal roofs, they think of barns or industrial complexes. However, metal roofs for homes are quite common and come with a number of benefits. The roof is one of, if not the most, important component of your home. It keeps the rest of the house safe from external damage and helps you remain comfortable during the summer and winter months. Replacing your roof is a huge investment, and metal roofing prices are a bit higher than shingles. This means you’ll need to weigh the metal roof cost against the benefits. You’ll probably find they’re worth it. Let’s break down seven ways metal roofing will add value to your home. Metal roofs are much stronger than roofs made of other materials. In fact, metal roofs can last well over 50 years while shingled and wood roofs only hold up for around 25. This translates to added value. As a homeowner, you won’t have to worry about taking on the burden of replacing your roof. Plus, this is a huge selling point if you’re planning on putting your home on the market anytime soon. A metal roof will attract homebuyers and allow you to list your house for more than if a replacement was imminent. In addition to dealing with the cost of metal roof replacement, you won’t have to worry about the disruption the work would create. You get the peace of mind you’ll never have to deal with it. If you live in an area that sees frequent severe weather, a metal roof ensures the rest of your home won’t take on storm damage. Sure, your roof may sustain dents, but that’s about it. On the other hand, shingle or wood roofing can easily take on hail and wind damage. This often leads to punctures that could allow water to enter your home. Over time, asphalt shingles and wood roofs will take on damage caused by sun exposure as well. This wear and tear must get repaired in order to avoid an expensive replacement. However, metal roofs stand up much better against the rays of the sun. When considering metal roofing prices, you have to take monthly energy bills into consideration. Because metal actually reflects the sun instead of soaking up warmth, your energy costs will decrease. This means you’ll see a return on investment over time. You won’t only see savings during the summer months. A metal roof does a great job of forming a tight seal and insulating your home. This means you’ll also save on heating costs. A thermal break refers to space between to surfaces that stops the conductive transfer of heat. This transfer of heat leads to higher energy costs in the summer due to more demand from your HVAC unit. However, to avoid this, metal roofs are built with thermal breaks. Roofing repairs are costly and often time-consuming. This type of maintenance is a fact of life when living with shingles or wood roofing. However, the durability you get with metal means you’ll have to deal with very few issues. This is a huge money-saving feature. In fact, many of the issues you have to deal with are cosmetic. These fixes don’t require a huge investment. Metal roofs also make it very easy to perform routine maintenance like clearing debris or securing fasteners and screws yourself. 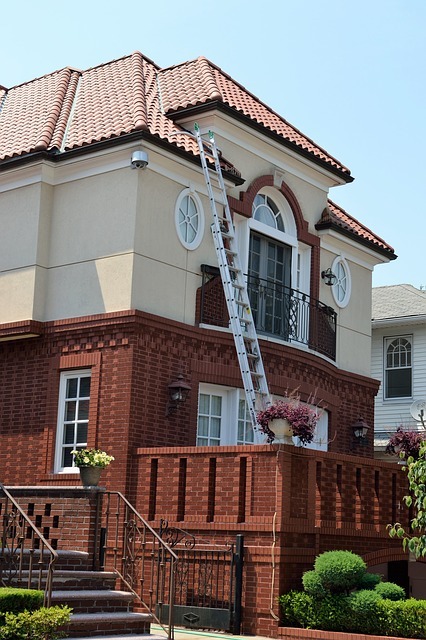 Because you don’t have to worry about dips or slopes, accessing your roof is much easier. You’ll also notice water runoff is much more effective with metal roofing. Many insurance companies offer discounts for upgrades that protect your home from certain things. There’s a good chance you’ll enjoy a discount on your insurance premiums by installing a metal roof. This is especially true if you live in an area prone to storms and severe weather. Insurance companies offer these discounts due to the strength of a metal roof. This is because there’s less chance of damage resulting in claims. This factor definitely adds value to your home. If you’re trying to sell, any homebuyer is going to appreciate the savings they’ll enjoy. There’s a common misconception that metal roofs look harsh and industrial. In fact, roofing manufacturers have done a great job developing a wide range of options that can add a lovely aesthetic to the design of your home. You can get roofs made of a number of different metals, including copper, aluminum, tin, and zinc. These all set a different tone. In addition, there are a number of color options and finishes available. This is a perfect opportunity to add a roof that adds to the look and feel of the rest of your house. This is a huge advantage when trying to add curb appeal. Instead of a typical shingled roof, you can give your home a much more unique look that adds to its value. We discussed the energy efficiency of metal. However, you can also reduce your carbon footprint in other ways by opting for a metal roof. Metal is recyclable, which means you’re roof won’t end up in a landfill one day. Furthermore, metal is a perfect surface for installing solar panels and catching rainwater. Finally, because metal roofs last so long, there’s less need for replacement materials and resources. Hands down, this is a more environmentally-friendly option for your home. Metal roofing prices may seem unattractive at first. However, you need to understand what you’ll get out of them. When weighing the metal roof cost vs their benefits, consider how much value you’ll add to your home. We provide quality roofing installation service for homeowners and businesses. Contact us today.